Interest Free, Receive your order immediately. The funds for the first payment will need to be available on your card at the time of purchase – that simple! 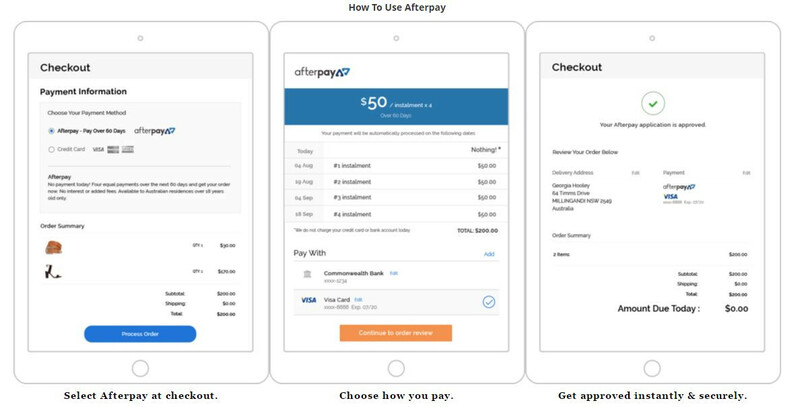 Afterpay will remind you when payments are due and will process your payments automatically. Next time you use Afterpay, we’ll have all your details stored and ready to go!